Either opened manually or automatically, our gates offer an access control solution for businesses. 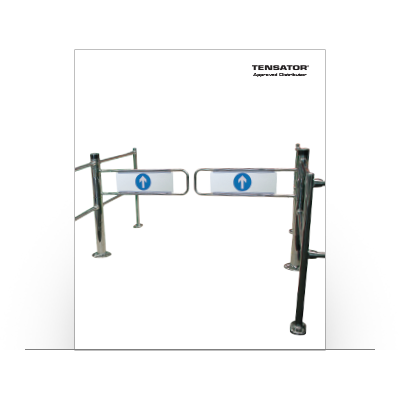 In an automatic system, an approach sensor detects movement, which triggers the system to open the gate automatically. If the arm is pushed or pulled when it isn’t open an alarm will sound, alerting staff to potential security breaches. The system can be linked to the fire alarm to drive the gate arms into the open position in the event of an emergency. What can access gates offer your business? Polished chrome finish offers a premium feel to the entrance of your store whilst providing international arrow and no entry symbols. An alarm is triggered if the gate is pushed or pulled when not open, or an attempt to forcibly open the gate arms. 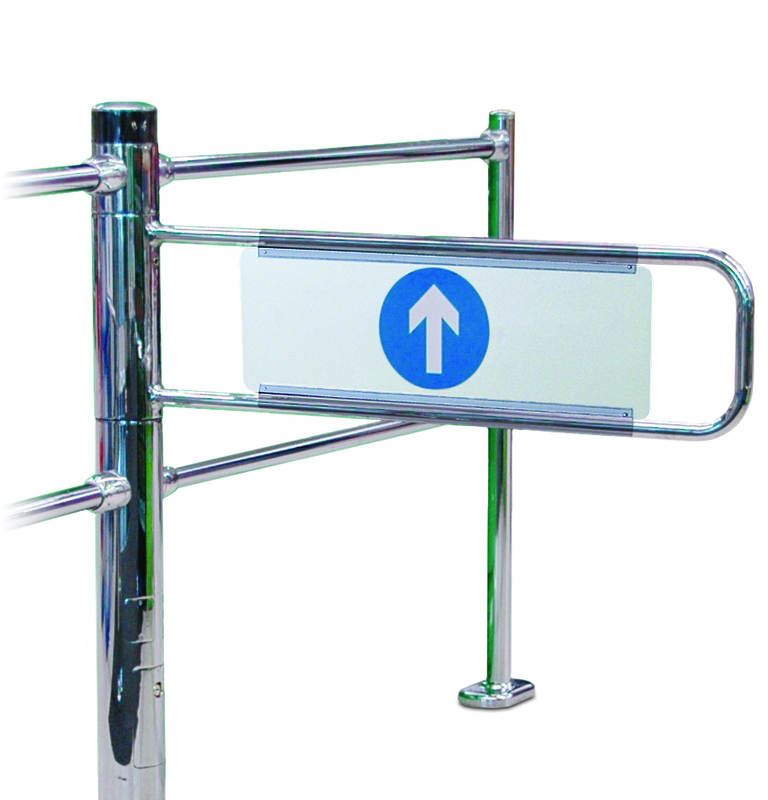 Highlight and bring attention to your brand with a customisable gate arm sleeve, which doubles to protect the gate.